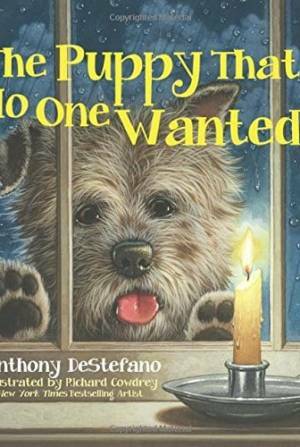 Wild and creative illustrations from top children’s illustrator Catrow pair with bestselling author Turner’s lyrical verse in this message of a God-made light that cuts through darkness to bring vision and hope to all young readers. From the author and illustrator of the best-selling When God Made You comes a new illuminating message about God’s design affirming young readers.‘Let there be light!’ that’s what God said. 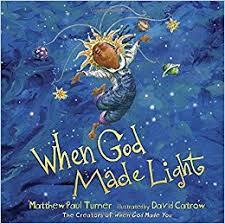 And light began shining and then started to spread.” Wild and creative illustrations from top children’s illustrator David Catrow pair with Matthew Paul Turner’s lyrical verse in this message of a God-made light that cuts through darkness to bring vision and hope to all young readers. This light radiates, chasing away the shadows, providing the wonder and fun of stargazing or firefly chasing. Most important, this light appears in each child–an inner God-given spark that grows and will be used to change the world.